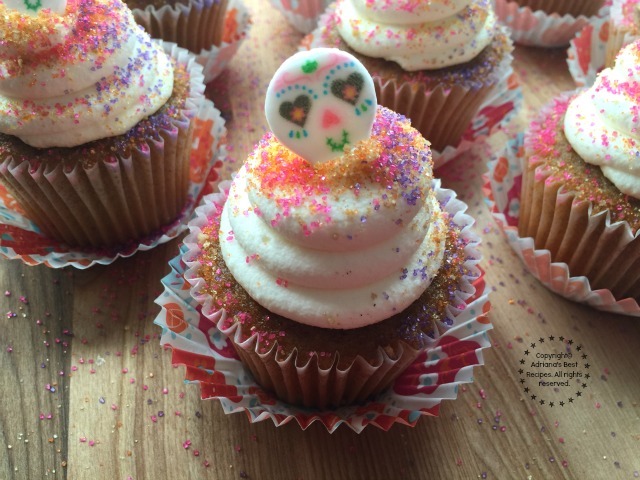 I am most definitely not a baker nor a crafty person but I do love to entertain at home and I always find ways to make cute things and bake easy cupcakes like this Sugar Skull Pumpkin Cupcakes prepared with ingredients that you can easily find at your local supermarket. When I shop I always like to check seasonal stuff and new products. 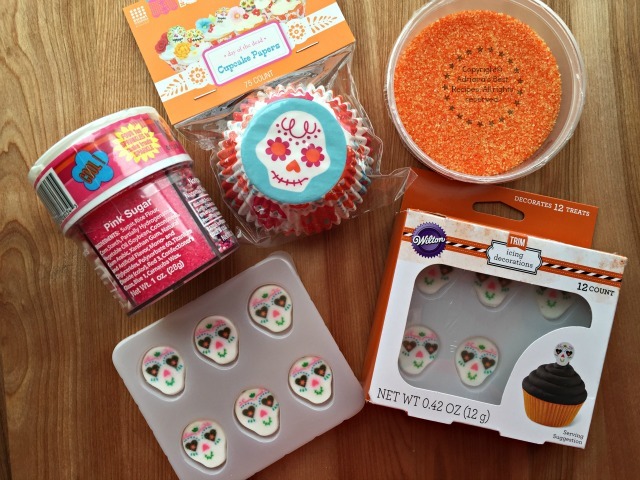 And this time I found these cute mini sugar skulls that I thought would be perfect to use for pumpkin cupcakes to celebrate Day of the Dead. In Mexico we set up altars for Día de Muertos to honor our family members that have departed and one of the typical figurines that is always present are the sugar skulls. Making sugar skulls is crafty and takes time so this year in my altar I will place Sugar Skull Pumpkin Cupcakes instead to keep the tradition alive. 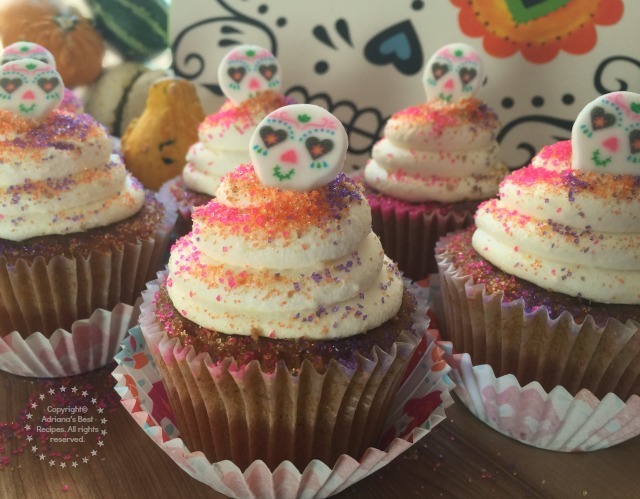 Sugar Skull Pumpkin Cupcakes prepared with ingredients that you can easily find at your local supermarket. Perfect for Day of the Dead. 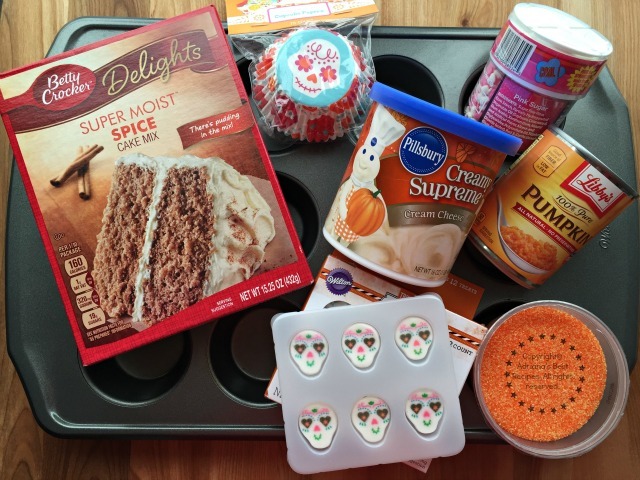 In the mixer add the cake mix, the eggs, the pumpkin puree, the milk and the pumpkin spice. Mix well until getting all ingredients well incorporated. Place the cupcake liners in the cupcake baking mold and using a spoon pour some of the cake mix without adding too much on each cupcake. Cook in the oven at 375 degrees Fahrenheit for 30 minutes. Take out and let then cool. Using a plastic bag or a piping bag make swirls to decorate the cupcakes with the frosting. 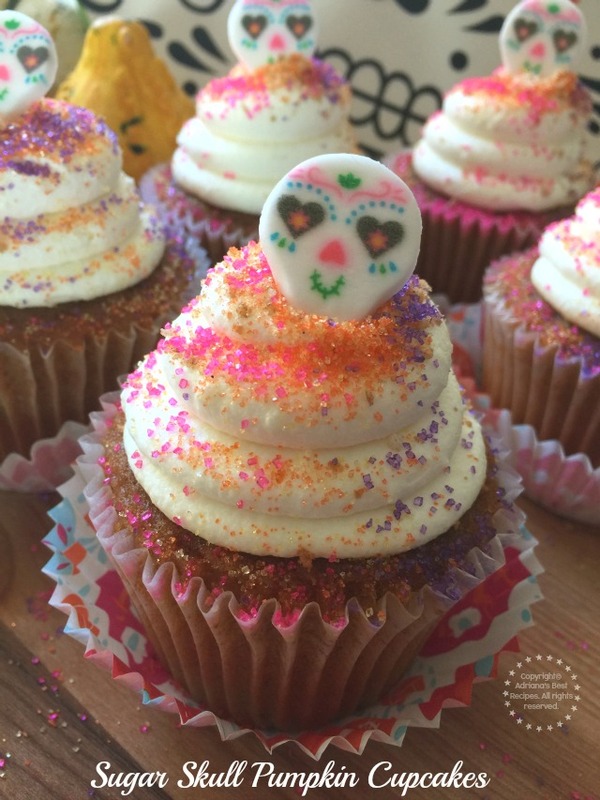 Sprinkle colored sugar and finish with a mini sugar skull on top of each cupcake. 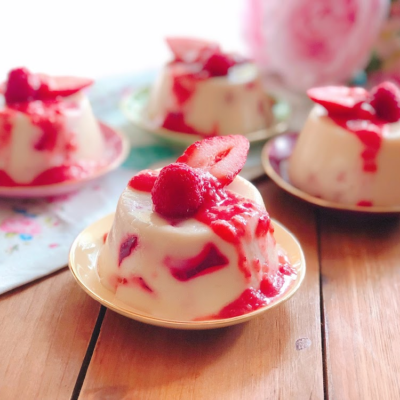 For presentation purposes add the decorated cupcake liner and serve. In Orlando, the city where I currently reside it is very difficult to find typical foods from my country, some condiments or crafts from Mexico aren’t available neither. There isn’t a big Mexican community here so there aren’t specialty stores like the ones you can find in California or other states where the Mexican community has big a presence. 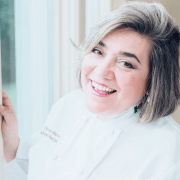 I purchase a lot of my ingredients online or when I travel to Mexico I bring what is allowed and fits in my luggage. But those trips to Mexico aren’t very often. 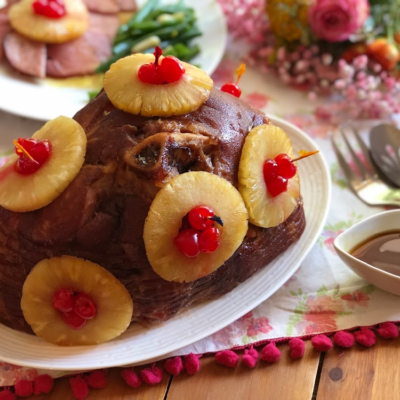 I have to become very creative when trying to incorporate my culture and flavors to the meals I prepare because I want my family, who is Cuban descent to get to have the experience of the Mexican culture at home via the little details and idiosyncrasies so when I find products that I can repurpose to meet this need it is wonderful. 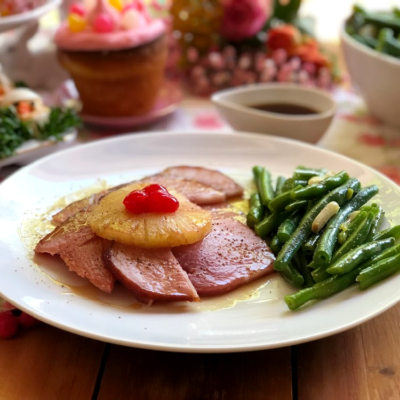 I invite you to get creative in the kitchen and prepare a dish or a dessert that reflects who you are and your culture but using what you have available in the city you live. 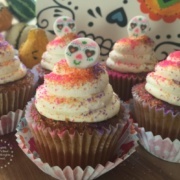 These Sugar Skull Pumpkin Cupcakes are a good example on how two cultures can meet to celebrate a festivity that has been around for many years, like the Mexican tradition of Day of the Dead. These look so good amiga and too pretty to eat 🙂 Thank you for showing us how you made them. I’m more partial to a cupcake than halloween candy :). Se ven preciosos los cupcakes Adri, me encanta la idea de prepararlos asi, bien rapiditos y practicos. I love it! 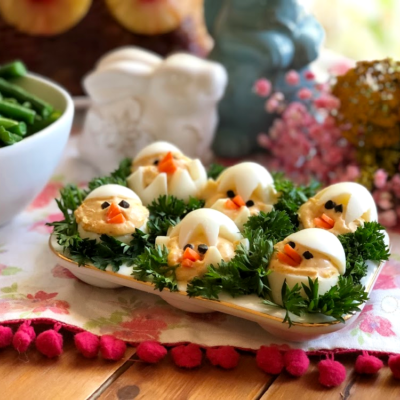 They look super cute and easy to make! I love how Dia de los Muertos does not look so scary! My son would love these cupcakes! Que linda manera de celebrar tradiciones con estas dulces tentaciones para chicos y grandes. Que bella idea para este mes! son tan adorables que no dan ganas de comerlos! Hermosísimos! Y me imagina que deliciosos! Me encantan los cupcakes de calabaza! Awww… que lindos y ricos cupcakes Yummy! 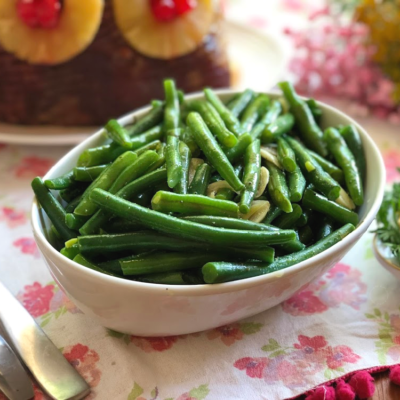 Muchas gracias por la receta! Saludos! Que lindo Adriana, las decoraciones del día de los muertos están muy cute.